Among the atmosphere of mistrust against Microsoft Corporation (NASDAQ:MSFT), the Chief Executive Officer, Satya Nadella, is all set to visit China. After banning Microsoft Windows 8 in China, China is planning to launch its own operating system in the upcoming months. Considering the large number of Microsoft Corporation’s (NASDAQ:MSFT) clients in China, it might be a solid blow for the company. According to the experts, the company might lose out the Chinese Software market and considering the sensitivity of these issues, this trip would be crucial for Microsoft Corporation (NASDAQ:MSFT). The CEO of Microsoft is planning a visit to China towards the end of the September, although there has been no official confirmation of the trip. Some experts even claim that these actions are a part of the 2008 issued anti-monopoly law, which has been used unfairly against overseas business. 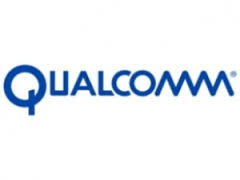 QUALCOMM, Inc. (NASDAQ:QCOM) is another company that is under the mistrust radar. Nearly 30 companies are facing antitrust issues in the Chinese market. For QUALCOMM, Inc. (NASDAQ:QCOM), this might be a serious problem concerning that the company had revenue of $25 billion in the last fiscal and 50 percent of it came from the Chinese market. China is discussing potential steps with Korea to sort out trust issues with China.